Unique design allows airflow to be directed to any location in a cabin, salon or bunk. Folds against the bulkhead to take up a minimum amount of space. The best cabin fan available in the marine market! 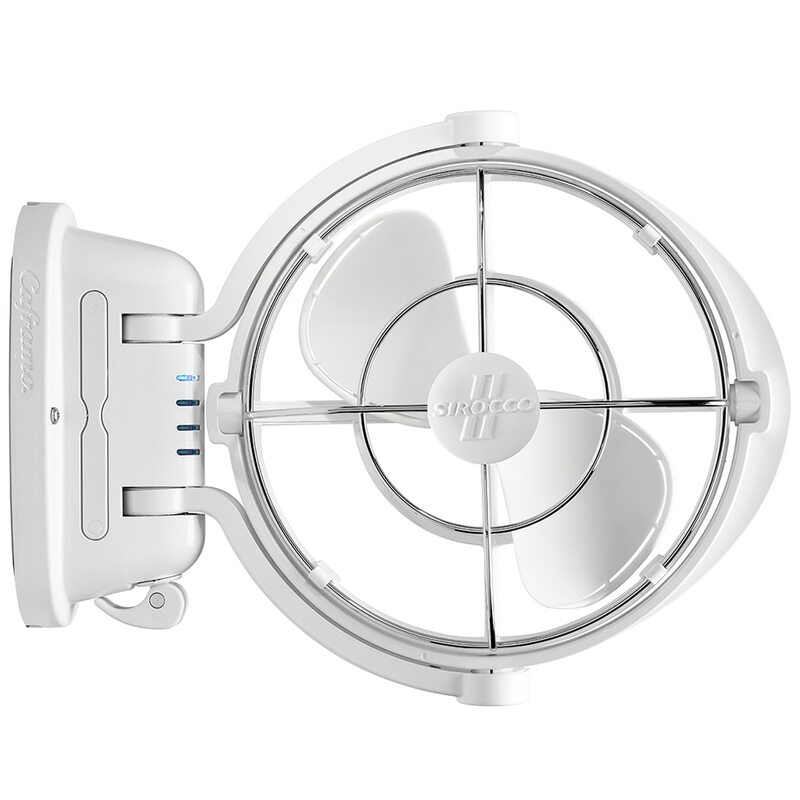 The model 7010 Sirocco II 12-24 Volt fan features a unique gimbaled design that allows airflow to be directed in any direction of the cabin - 360°. The Sirocco II can also be folded flat and out of the way against the bulkhead when not in use. With its multiple speeds, timer settings and quiet operation there is no other marine fan that can match the Sirocco II's performance. It truly is the premium choice for comfortable cabins and salons.